Today was Day #4 of Chocolate and Salt Theme Week. 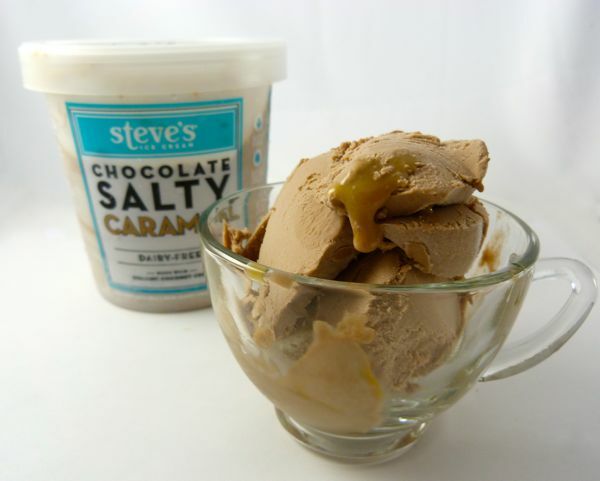 Steve's Ice Cream (Brooklyn, NY) has produced several rich, creamy ice creams. 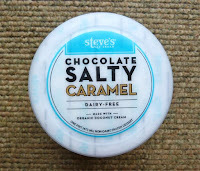 This was the first Steve's offering I've tried that wasn't technically ice cream. 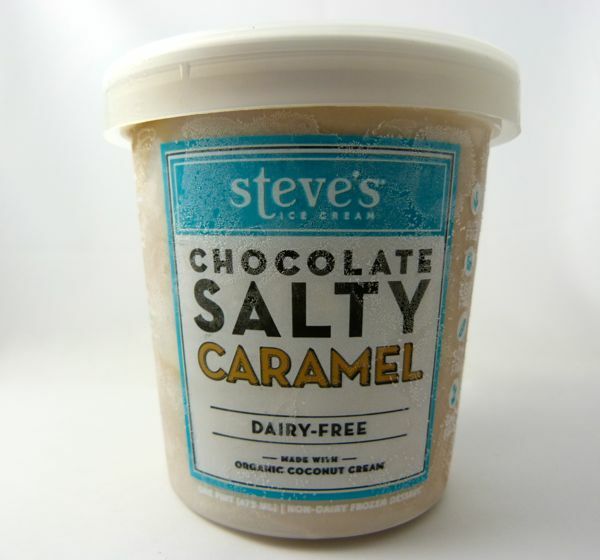 Today's Chocolate Salty Caramel dairy-free, frozen dessert was made with organic cane sugar and coconut cream, as well as organic cocoa. 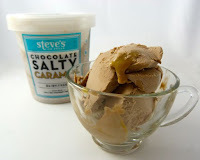 Swirls of flowing, salty caramel ran through this light cocoa-colored "ice cream" -- the salt was part of a relationship with Jacobsen Salt Co. and Steve's pursuit of unique, quality mix-ins. This frozen dessert was relatively free of allergens. It was gluten free, egg free, soy free -- and GMO free. 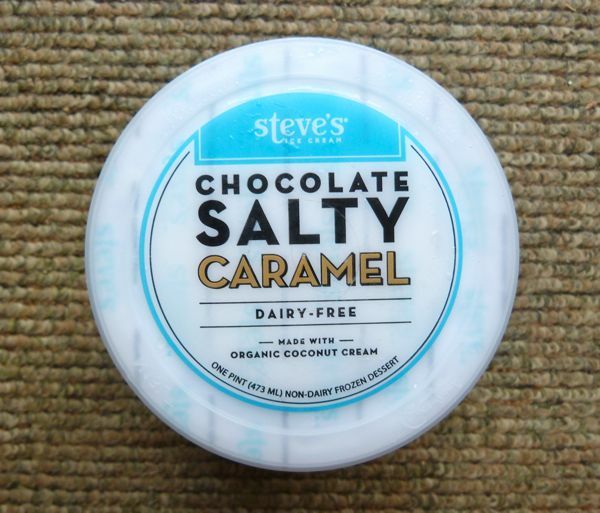 Hats off to Steve's Ice Cream for creating some good alternatives. 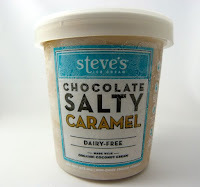 The only ingredient that wasn't a favorite for me in this frozen dessert was pea protein. It has a fairly strong, distinctive flavor. Granted, if you remove dairy, soy and nut options, the Non-GMO protein possibilities are limited.